What exactly is this power centre and what role does it play in the efficient running of the body? The solar plexus is responsible for maintaining a balanced relationship with the divine energies. However human 3D life over the years has set up blockages, especially in regards to ‘how we feel about ourselves’ – personal esteem, lack of empowerment and our accepted and rightful place in universes generally. When the Solar Plexus nerve centre is operating fully and the energy in this centre is balanced, these functions naturally find a clear and effortless outlet both inwardly and outwardly. However, in case the flow of energy is disturbed, because of impediment (like electrical impedance) then symptoms may range from energetic, emotional and physical. These symptoms can look and feel like anxiety and even depression. The solar plexus is conveniently located behind the gut cavity and is thought to derive some of its energy from food taken into the body at the same time contributing to the ‘powering-up’ process of gut function. Conversely healthy gut function and optimum mobility can help to stabilise this aggregation of nerves called the plexus. So between deriving energies from healthy light-filled green food the solar plexus takes the majority of its energy from ‘ free space energy’ called solar energy and also known as orgone – universal energy which binds matter together. We are divine beings submerged in a 3D energy thought field which right now is disintegrating. Our bodies until now have ‘referenced’ this 3D field as being ‘reality’ but this notion or thought form is in the process of dissolving. How to successfully transition from this old 3D operating space and claim our 100% position in the grander divine energetic scheme of things? Many people are experiencing anxiety at present. It’s not depression but could manifest into depression if one is not aware of what is happening. Whilst we can share our thoughts about it, dealing with it is purely personal. This is what I do quite successfully. Ensure your body electrics are running at optimal efficiencies by keeping daily water intake up. Reduce animal fats and take in more fruit and vegetables – both support the conduction of electrical energy around the body. Ensure your are taking in Magnesium chloride tabs or similar daily. The Mag supports the nervous system through these times. I take half a Blackmore’s BioMag (or similar) tab in the am and pm. You can use Magnesium crystals to make liquid magnesium oil simply by adding clean water and apply to the navel, solar plexus, nape of the neck, lower back and behind the knees after every shower. Magnesium chloride is also good for rubbing onto the soles of the feet before retiring in the evening. These points on the body are nerve aggregation centres so you are literally feeding the body. Anxiety seems to deplete the body of magnesium. By the way did you know if any one suffers a heart attack and gets to a hospital the first thing they do is pump Magnesium into the heart area to release tension. 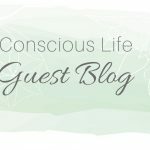 Magnesium is the secret ingredient for managing the process of reconnection. Finally the most difficult thing is to sort out any outstanding emotional issues. ‘Stuff’ which no longer brings you comfort or support like jobs, relationships, locality etc., should be removed or changed. Sounds harsh but these changes can be easier than one might think. Right now it’s as if we have to just hunker down and TRUST our inner voice. There is nothing anymore outside of ourselves, which can help us right now. Personal strength comes from inner trust. Finding balance in this time of chaotic change is the key to great solar plexus health. This will enable a continual flow inwards and outwards of ‘pure creator force’ energy. Some people say this is the love of the Prime Source people are looking to reconnect with. Makes sense right now. What’s In The Stars For 2019?